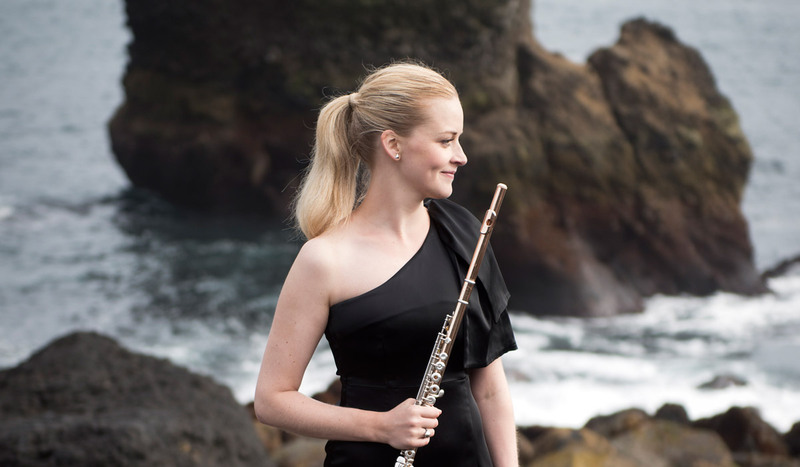 Ragnhildur was born in 1988 and started playing the flute at age 7. She was born and raised in Iceland, but moved to Denmark In 2003 to study. In 2007 she was accepted at the Royal Danish Academy of Music (RDAM), where she studied with Henrik Svitzer, until she finished her bachelor degree in 2010. In the autumn 2010 she started the master programme at RDAM with Toke Lund Christiansen as flute teacher, and Russel Itani as piccolo teacher. Aside her studies at RDAM she has taken private lessons with Ulla Miilmann from the Danish National Symphony Orchestra, with Dóra Seres from the Danish National Chamber Orchestra and with Anna Dina Schick from The Royal Danish Orchestra. From September 2013 she has been studying in the Advanced Postgraduate Programme at The Academy of Music and Dramatic Arts in Odense with Rune Most as her teacher. In 2011 she received a study grant from Augustinus Fonden, for lessons with Michael Hasel in Berlin. In 2013 she re-ceived another study grant from Foundation Idella, for further studies with Michael Hasel from Berliner Philharmoni-ker and lessons with Stefán Ragnar Höskuldsson, solo flutist at the Metropolitan Opera in New York. Ragnhildur has in addition had private lessons with names such as Andreas Blau, Henrik Wiese, András Adorjan, Pierre Yves-Artoud, Vincent Lucas, Eva Østergaard and Cecilie Løken. She has participated in several competitions on the national and international stage and was amongst other a prize-winner in the Øresund Soloist competition in 2009. In March 2015 Ragnhildur won the position as solo piccolo/3rd flute in Odense Symphony Orchestra, were she currently works. Before winning this permanent position, Ragnhildur had been an active chamber and orchestral musician, in the different Danish symphony orchestras and chamber music life. She had longer contract periods in Copenhagen Phil, Aalborg Symphony Orchestra and Odense Symphony Orchestra and she regularly played in or-chestras as The Danish National Chamber Orchestra and The Royal Danish Orchestra, as a freelance musician.